Say “Goodbye” to that last inch! As Calgary’s industry leader in non-surgical body contouring, Skinpossible is proud to announce the addition of SculpSure to our menu of services! What is SculpSure? It is impressive new technology that uses a laser to target and destroy fat without plastic surgery. SculpSure uses heat instead of cold to disrupt fat cells. It does not work better than CoolSculpting but it has a few unique advantages over CoolSculpting when treating certain areas of the body. Now Skinpossible offers both CoolSculpting and SculpSure! A New Way to Sculpt Your Body Without Surgery! SculpSure is the world’s first laser treatment that can safely disrupt fat cells below the surface of the skin to such a degree that they are permanently destroyed. It is FDA and Health Canada approved for non-invasive lipolysis on the flanks, abdomen, back, and thighs. After the treatment, the damaged fat cells clear gradually through the lymphatic system. Two treatments performed six weeks apart are recommended. Results can be seen in as little as six weeks, and optimal results will typically be complete at 12 weeks after the second treatment. This leads to a permanent reduction of fat without the downtime associated with plastic surgery! Targeted laser energy heats fat cells under the skin without affecting the skin's surface. SculpSure raises the temperature of fat cells, damaging their structural integrity. Over the next three months, the damaged fat cells are processed and eliminated by the body's lymphatic system. Fat cells are permanently removed and will not regenerate. Results can be seen as quickly as six weeks, and optimal results typically were seen at 12 weeks. We begin each treatment by weighing you and taking photos from a variety of angles. Since the fat will clear gradually in the weeks following treatment, these baseline photos provide a record to refer back to for comparison purposes at the time of your post-treatment follow-up. Four flat applicators, each about the size of a business card, can be customized into a variety of configurations to accommodate different areas of your body. This versatile system can target multiple areas at the same time or be placed together to target one large area. Your technician will assess and mark the areas to be treated to determine precisely where the contouring frames should be placed. The frames will be secured to the treatment areas with a belt. Applicators will then be placed in each frame and your 25-minute treatment will begin. Over the next 25 minutes, the SculpSure laser will target fat, heating it to the point of destruction. It takes 4 minutes to build the heat which is then sustained for another 21 minutes. The goal is to achieve temperatures as high as possible within patient tolerance so you will be given what is known as a zone chart to help you communicate with your technician how the area is feeling as the treatment progress through repetitive 30-second intervals of heat and cooling. Continuous cooling protects the skin throughout the treatment while the laser energy safely targets the underlying fat. Each 30-second interval consists of 20 seconds of heat during which time the technician adjusts the energy up or down based on your feedback. What does a SculpSure treatment feel like? For the first four minutes as the temperature builds you will progress from Zone 1 through 3 and feel gentle warming, tingling, short intervals of warmth and pleasant cooling. The goal for the remainder of the treatment is to achieve and maintain Zone 4. During each 30 second interval, you will feel prickling, pinching, pressure, longer peaks of moderate to intense heat following by brief cooling relief. The sensation varies from person to person and tends to be more intense on some areas of the body than others. It has been described as bad menstrual cramps that are also hot at the same time. As the cramping reaches a point where it is barely tolerable the heat ends and the cooling kicks in. If at any time during the treatment you feel it is not tolerable, you have reached Zone 5. The technician will immediately advance to the cooling cycle and reduce the energy to get you back into Zone 4. After the treatment is complete the process will be repeated on any remaining treatment areas. When all areas have been completed you are free to return to your daily activities. The process will be repeated at the time of your second treatment six weeks later. For a person to be a candidate for Coolsculpting there must be enough fat to draw into and fill up an applicator. With SculpSure this is not a concern so we can treat even extremely lean people with very little fat for spot reduction. When targeting fat on the outer thighs, there must be a definite bulge to treat with CoolSculpting. In the absence of a bulge, the person would not be a candidate due to the possibility of leaving a depression. Sculpsure’s tapered heat allows us to treat the thighs even when there is no decisive bulge. Because SculpSure gets rid of less fat with each treatment than CoolSculpting does, we can treat areas where less reduction is preferable. An example of this would be correcting asymmetry. CoolSculpting could cause too much reduction and over-correct. In such a case SculpSure’s smaller reduction is more predictable and a second round can be done of greater reduction is required. During a SculpSure treatment, the positioning of the heating applicators is mapped out to determine where they should be placed for best results. Then a thin layer of the lotion is applied to the skin where the sensors will hit to ensure good contact is maintained. Frames that will hold the applicators are then secured tightly to the treatment area with belts and the heating devices are clicked into place. The delivery of the controlled heat from your SculpSure treatment destroys up to 24% of the fat under the treatment area! The fat cells are then eliminated by the body’s lymphatic system. The second treatment will be scheduled and completed six weeks after the first. Then it is just a matter of being patient. 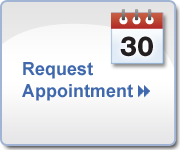 Results will continue to improve for another 12 weeks at which time you will be invited back for your post-treatment follow-up appointment. Photos will be taken to compare with those taken prior to the treatment. Most people really appreciate seeing the side-by-side visible changes. *Models used for illustrative purposes only. Individual results may vary and are not guaranteed. SculpSure is not a weight loss solution or for people who are obese. There are other SculpSure providers so why choose Skinpossible? Experience: With so many years of body-contouring experience under our belt, we know what we are doing and this is important. Why? Because SculpSure works! Proper positioning of the contouring frames will ensure you achieve the best possible contour. Versatility: In addition to SculpSure, Skinpossible offers CoolSculpting. We have every shape and size of the cooling device so we can treat fat on the inner thighs, saddlebags, muffin tops, love handles, back fat, banana rolls, male chest fat, under the chin, knees, almost anywhere! Now with the addition of SculpSure, we have expanded our body contouring versatility even further. We truly are Calgary’s body contouring experts! Price: Cynosure, the manufacturer of SculpSure, has recommended pricing that most other SculpSure providers adhere to. Skinpossible has chosen to make SculpSure more affordable. Our SculpSure prices are approximately half the recommended industry standard. Affordable Pricing: As Calgary’s body-contouring experts, Skinpossible has chosen to charge less than manufacturer recommended pricing for SculpSure. Our prices are approximately half of what other SculpSure clinics charge! SculpSure is a wonderful addition to Skinpossible’s body-contouring options! If you would like to know what SculpSure can do for you call and book your free consultation. During your consultation, we will discuss your concerns and assess the areas you wish to reduce body fat. We will then make a plan as to how many treatments you may need to accomplish your goals, and how the treatment should be performed. Should we use SculpSure exclusively or would we get a better result in some areas with CoolSculpting? We will customize a treatment plan just for you!. We’ll give you all the information you need to make an informed decision. No charge. No Pressure. No obligation. Book your free consultation! 403.719.6523 or Request online! Yes you can. The procedure is completely non-surgical, so typically you can return to normal activities immediately. After SculpSure you may experience redness and bruising. Swelling and tenderness could last 2-3 weeks or longer but this should not hinder your normal routine. Most patients are able to return to their daily activities immediately after. Often times, patients return to work after the session is over. Because we have a SculpSure laser and three CoolSculpting machines, technically four (or more) That would be rare and somewhat awkward unless you have the flexibility of Gumby. SculpSure’s 4 applicators allows us to treat more than one area at a time. We can also offer CoolSculpting and SculpSure in the same treatment plan and potentially perform both treatments at the same time. There are very few health concerns that would contraindicate you from having the treatment. The SculpSure procedure is FDA-cleared and Health Canada approved and recognized as a safe and effective treatment for non-surgical fat reduction. If there was any benefit whatsoever to having a nurse do your SculpSure, we would definitely have a nurse performing these treat-ments. There is no need for injections or anesthesia, so it is not necessary for a nurse to do your SculpSure procedure. If there are any concerns or reasons for caution our doctor will personally review your treatment plan before proceeding. Instead we have highly trained and experienced laser technicians who specialize in medical aesthetics. They’ve also been trained to give an extra measure of pampering, so you feel well taken care of during your treatment. Does SculpSure hurt? Cooling protects the skin while laser energy heats your fat layer. When the treatment begins it will feel warm and over time the heat sensation will increase to short periods of intense heat followed by deeper cooling. You may experience some cramping, tingling, prickling or squeezing sensations deep in the fat layer. This can be somewhat uncomfortable (rated 3.7 out of 10) but it is usually well tolerated. The 25-minute treatment will be over quickly. Gently massage the area twice a day for 5-10 minutes. Massage should be continued daily until your next treatment and for 12 weeks after your second treatment. Staying well hydrated and engaging in light physical activity helps mobilize the disrupted fat for processing through the lymphatic system. It is also recommended that you drink at least 6-8 glasses of water a day and take a daily walk or continue your regular exercise routine. You may start to see results as soon as 6 weeks after your treatment, but it will take 12 weeks for the full benefit to occur. The second round is usually done at 6 weeks so full results will be evident 12 weeks after that. Absolutely! At the time of your free consultation, your consultant will make recommendations on the best possible treatment plan utilizing either or both of these two remarkable non-invasive body-contouring technologies. Typically, each SculpSure treatment results in a reduction of fat up to 24% in the treated area. A second round of treatments is recommended to attain further reductions resulting in even more fat loss. Treatments should ideally be repeated after six weeks. In some cases, SculpSure is a better option than CoolSculpting. That is why we purchased it. According to the clinical evidence, SculpSure does not remove more fat than CoolSculpting or get rid of fat faster. CoolSculpting, when it includes post-treatment massage, clears an “average” of 25% of the treated fat. SculpSure can clear “up to” 24%, although on average it is significantly less.CoolSculpting and SculpSure each have unique advantages, and at Skinpossible you have both options or combine the two. Firstly, as with all treatments, SculpSure results do vary from person to person. Unfortunately a few people do not respond well. On the flip side, most are satisfied and many are delighted. The most common reason for the few reviews that claim SculpSure is not worth it has nothing to do with the treatment at all. It has to do with the simple fact that what the eye doesn’t see every day the brain forgets. When people return to the clinic for post-treatment photos, sometimes they have forgotten what they looked like before. The photos almost always leave them convinced and happy. The “not worth it” reviews are often written by people who did not return to their treatment provider to see their before and after comparisons. SculpSure has the highest “worth it” rating of all body-contouring treatments, except CoolSculpting which has long been rated highest. SculpSure is not for weight-loss. It is a body-contouring treatment that can reduce localized areas of fat. An ideal candidate will be close to their ideal weight or within 30 pounds of their ideal weight. Only the area of fat that is treated will be reduced in size so it is important to have realistic expectations. Fat is not heavy compared to its volume. A single pound of fat is the size of a pound of butter. When you think about reducing fat from a localized area, a small weight change makes a big difference. When you look at before and after photos of SculpSure results, the best examples will be those that show little or no weight-change. If the weight has not changed the fat-loss is clearly a result of the treatment, not weight-loss results from diet or exercise. You could go straight to the gym immediately following your treatment. The treated area will feel tender for a few days but there is no reason to not exercise. Yes, this is part of the post-treatment instructions following SculpSure. Massaging each treatment area for 5-10 minutes per day is recommended to help maximize your results. You may experience mildly pink or red skin, tenderness or discomfort, swelling, tissue firmness or nodules in the treated areas. These are all expected side effects that usually resolve within a few weeks. Tenderness may occur as early as the day of treatment and can last up to two weeks. If needed, use a cold compress and/or acetaminophen to help relieve tenderness. Other less common side effect will be discussed at the time of your consultation. Two treatments is a standard recommendation and the second treatment can be done as early as six weeks after the first. Those who wish to debulk could benefit from additional rounds. On the right candidate the answer would be yes, and being able to do so with without plastic surgery is a true benefit to non-surgical body contouring. It is important to have realistic expectations, however. Two rounds of SculpSure (non-surgical body-contouring) cannot get rid of as much fat as a single lipo-suction plastic surgery can. Another thing to consider is that non-surgical body contouring cannot correct loose skin like a tummy tuck can. Yes, we can do your treatment no matter what your ethnicity. The fat cells that clear after SculpSure will be permanently gone. Many people, after seeing the results from their SculpSure procedure, are motivated to take even better care of themselves. If you do gain weight, however, the weight will be more likely to accumulate evenly all over your body, not localized in the treated areas where it previously tended to accumulate. An internal temperature of 42 – 47 degrees Celsius is the goal. Continuous cooling protects the dermis throughout the SculpSure treatment. It takes 4 minutes to build and then the temperature is maintained for 21 minutes. During this time you will feel repetitive 30 Second waves of deeper heat for 10 seconds following by cooling for 20 seconds. SculpSure feels hot for the last few seconds of each 10-second wave of heat but just as you think you can’t handle it any longer the cooling kicks in to provide relief. During this time a technician will be constantly monitoring your comfort level and can adjust the energy if you feel it is too uncomfortable.